At Drysdale Home Timber and Hardware, our market-leading standard of customer service and expertise is matched by our range of high-quality timber, hardware, paint, garden and landscaping supplies. 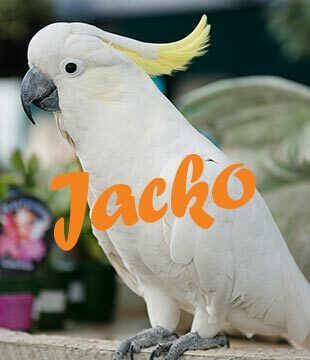 Also, our resident cockatoo Jacko is always on hand to assist customers or say hi to the kids. When you buy your timber and hardware from us in Drysdale, not only are you receiving premium quality products, but our staff are experts and can provide sound advice on your project. We have the knowledge and know-how on projects inside and outside the home. And, with thousands of products available in store, we are the number one specialist Drysdale hardware store for tradespeople and DIY enthusiasts alike. Drysdale Home Timber and Hardware is your one-stop shop when it comes to timber, timber supplies and timber materials in Drysdale. We also have a wide range of landscaping supplies including pavers and stones, and sand, soil and mulch. If you don’t have the transport or time to pick it up, we can deliver your landscaping or timber supplies in the Geelong and Bellarine regions. Our comprehensive range of Drysdale hardware includes all your needs in building supplies, tools, plumbing supplies and general hardware supplies. We also stock a wide variety of paint and exterior and interior paint supplies, and painting accessories. If you’re looking to beautify the exterior of your home, then come and see us for the best selection of outdoor furniture, plants and garden supplies in Drysdale. Home Timber and Hardware is still the best in the game for providing the combination of high-quality tools, competitively priced hardware and expert advice. At Home Timber and Hardware in Drysdale, we guarantee friendly, personal service, so come in and see us and Jacko the Cockatoo. If you have and queries about our products or services contact us, we are open seven days a week. The Home Timber & Hardware catalogue is full of fantastic deals and trade tips. The experts at Home Timber and Hardware can help you with everything you need for the hardest of DIY. The perfect gift for anyone looking to embark on their own DIY adventure. Doing the work ain’t easy but redeeming points is. Join a Home Timber & Hardware rewards program today.